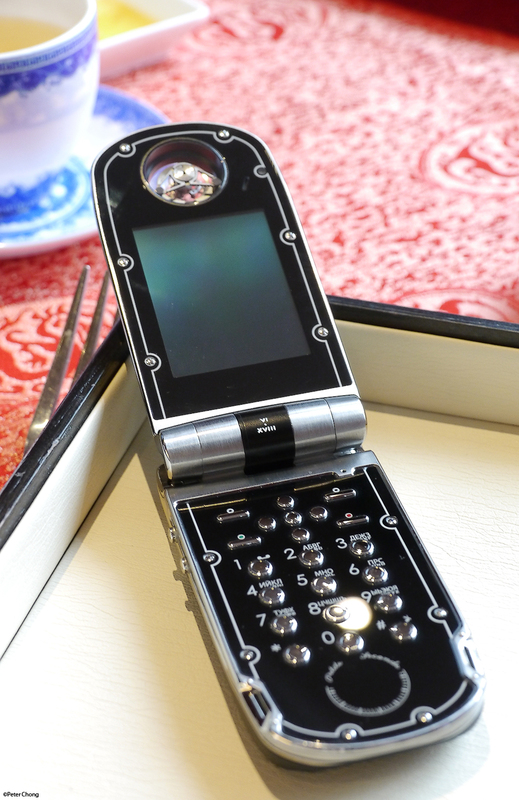 I was invited to view a very exclusive mobile phone...with built in pocket watch with a tourbillon, crafted in titanium. A lot of thought has gone into this phone...though the mobile technology is not really state of the art, the completeness of the thinking behind the idea is amazing. Built like a clamshell phone...vaguely familiar Motorola styled phone. 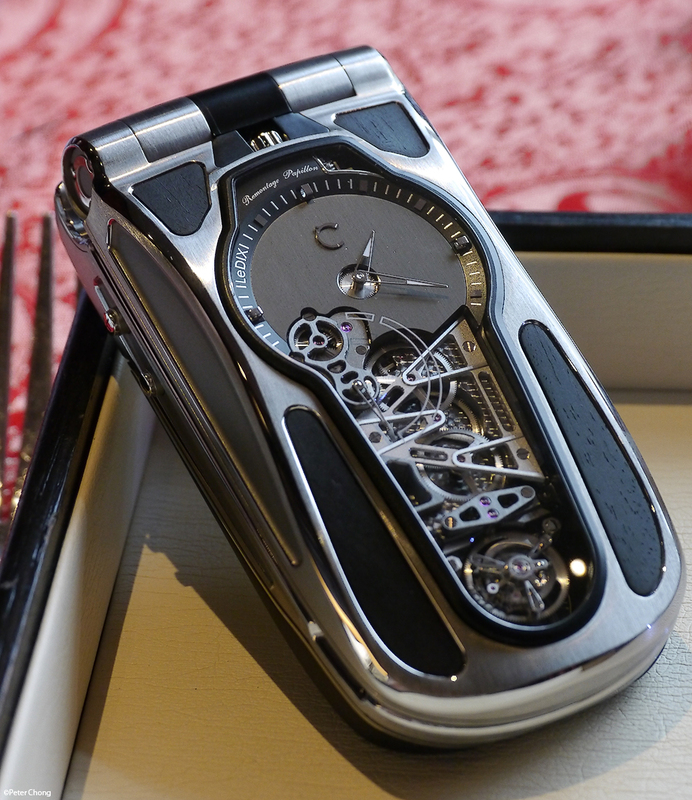 The opening and closing of the clamshell activates the winding mechanism of the mechanical watch. 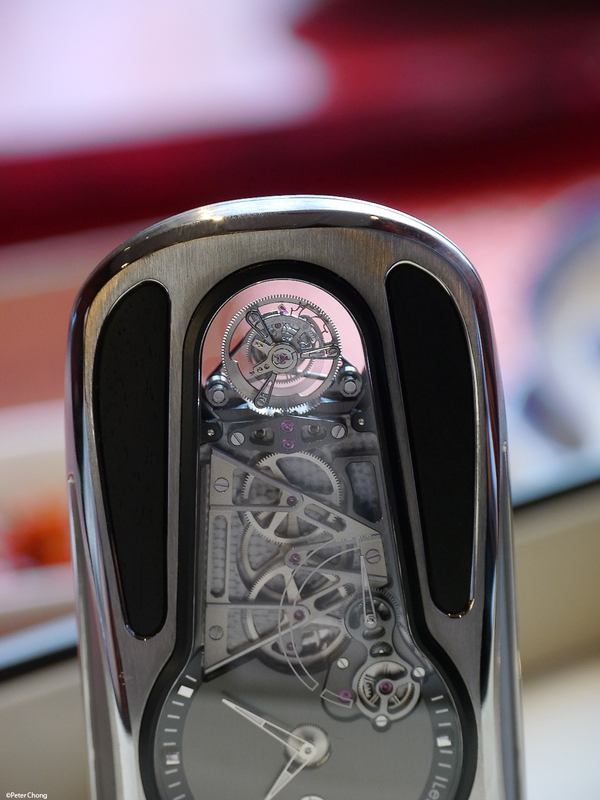 A large tourbillon is placed right next to where one's ear would be when using the phone to make calls...gently reminding the user of its presence by the characteristic ticking. The phone comes with a holster which either can be worn like a gun holster, or the one which comes with the Leica M9 Ti, or can clip onto one's braces. Small details like this abound in the phone, making it at once an object of magnificent beauty and craftsmanship, but with a dual electronic and mechanical soul. The juxtaposition of technology and old school craftsmanship makes this an interesting piece. Only 18 pieces will ever be made. Each at a price of approx S$450,000.